In 2016 the UK Space Agency selected Westcott as the UK’s National Space Propulsion Test Facility and the site is now home to a number of space propulsion and satellite technology companies. In May 2017 Reaction Engines held a ground-breaking ceremony to mark the beginning of the construction of a new engine test facility which will enable tests of the critical subsystems along with the testing of a SABRE engine core. Since the ground breaking event great progress has been made to both the assembly building and the test site compound. The assembly building structure is now complete, with the doors being fitted soon to make it completely weather proof. The internal fit out is now starting to develop the SABRE Engine Assembly Area, Workshops, Offices for the Engineers, and the all-important Mission Control Room to run the rocket engine testing. 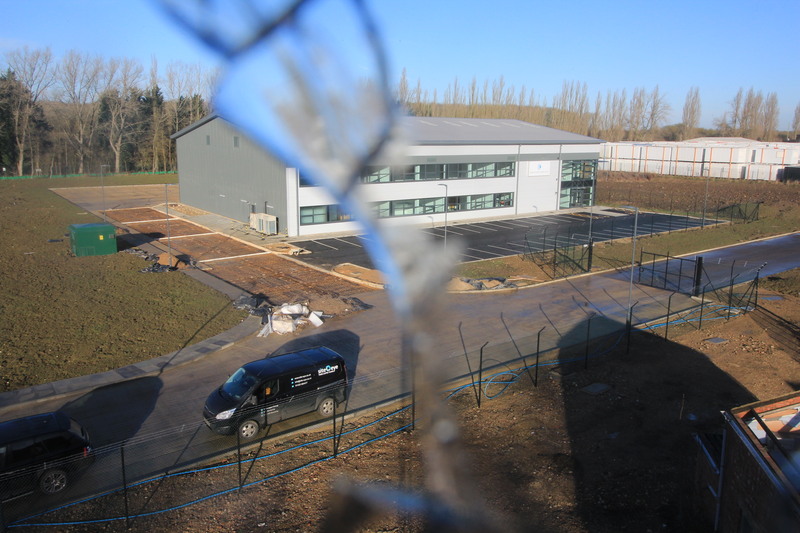 Work is also progressing well on the outside of the building to develop the storage yard and car parking area. We are working towards the Assembly Building being ready for the completion date in June 2018. 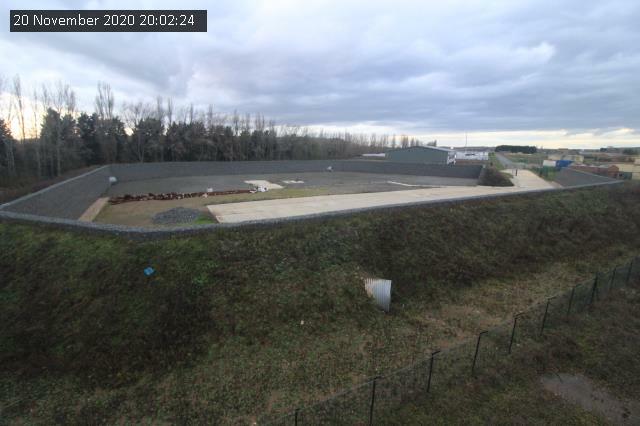 On the test site compound where the rocket engine will be tested, the 5m high gabion wall to protect our neighbours from the noise is complete. On the back of the gabion wall will be a landscaped grass bank that has been constructed with 12,400 cubic meters of earth weighing 22,400 tonnes, all held together with 36,500 square meters of matting. Despite the weather causing some minor delays on the test site compound, progress is good and the area is now taking shape. The majority of the ducts have been laid around the perimeter edge, other trenches are on-going for the cable ducts to cater for the miles of cable connecting the test site compound to the test site mission control room in the assembly building. The requirements from the engineers are now being finalised to cater for complex plant layout which will determine the layout of the concrete plinths and the reinforced containment shelter that will house the engine core during testing. Reaction Engines are also pleased to announce the appointment of Air Liquide to design and supply the Cryogenic Liquids and Gases required for the engine testing. This will involve Reaction Engines and Air Liquide working together for the next 18 months to deliver a complex cryogenic and gaseous delivery system.